Northwestern Mutual's Karl Gouverneur discusses the insurance company's digital transformation journey and IT’s role in digital innovation. For most of its 160 years, Northwestern Mutual had succeeded by using technology primarily to conduct its back-office functions, streamline its processes and create operational efficiencies — always supporting the work of its corporate office teams and its nationwide network of world-class financial advisors. Several years ago, though, company leaders recognized that the wave of digital transformation that was revolutionizing and disrupting almost every industry was leading to a change in client needs and expectations — and to stay relevant in the decades ahead, it would need to change. That sparked a drive toward digital innovation and transformation, one that has involved every function in the company, with IT as a driving force. 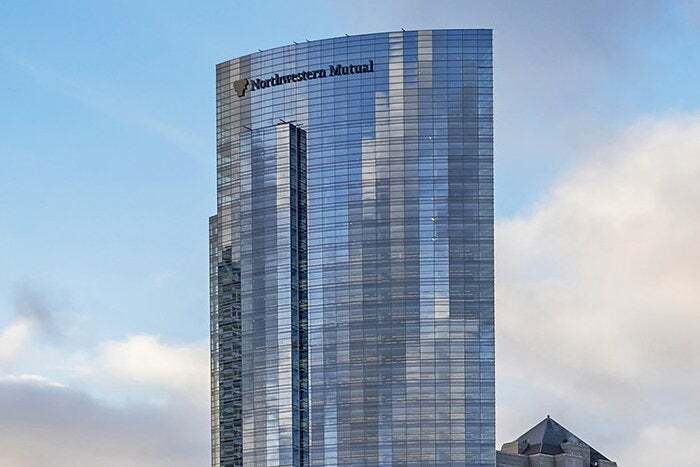 Karl Gouverneur, vice president of Digital Workplace, Corporate Solutions and head of Digital Innovation, talks about Northwestern Mutual's transformation journey and IT’s role in digital innovation. Can you describe your new IT operating model? Gouverneur: For many years, we were organized on a classic plan-build-run IT model, where we prioritized and managed projects with a focus on cost minimization and predictable delivery. With Northwestern Mutual’s business strategy now placing digital at its core, we had to change that approach. Speed became the new currency, and that required us to change some of the ways we work. We needed to operate more like a software company, with a focus on engineering and product management. Waterfall development had served us well when our technology areas operated with a mindset focused entirely on cost and risk management. As we also put emphasis on speed, we moved toward a continuous delivery model in most areas of IT. This is a journey; it hasn’t happened overnight, and it’s continuing. This also meant changes in how we’re organized. Over time, we rebranded IT from Information Services to the Client and Digital Experience (CDX) function. More recently, we have taken some departments — including mine — out of CDX and put them in other functional areas of the company. This lets us help those non-technology areas build their digital expertise and innovation mindset, and it allows us to benefit from their business perspectives. We now have an effective blend of centralized and distributed IT, with more digital leaders sitting at non-digital tables. We are no longer organized by infrastructure, applications, PMO, and security. Instead, we are organized by end-to-end experience. I focus on employee experiences, and my colleagues who are in CDX focus on the client and advisor experiences. How would you describe your “vertical” employee-facing role? Gouverneur: The employee digital experience is far-reaching. It includes areas that are enabled by technology, such as finance, risk, compliance, human resources, law, facilities, and managed investments. It also encompasses the digital workplace, including mobile and cloud-based technologies. In conjunction with the opening of our new office tower last year, we’re offering a greatly expanded suite of audiovisual capabilities to enhance collaboration across our campuses. We’ve created a digital workplace to support and promote our digital strategy, and we’re continually improving it. You also have a “horizontal” role. Can you explain? Gouverneur: In addition to leading the teams responsible for the digital employee experience, I also have a team that leads digital innovation and research initiatives for the entire company. They help to promote the digital mindset across the company, conducting many events over the year that bring people together to brainstorm, ideate, and create new prototype solutions for our business. Much of it is experimental and exploratory in nature, but it can also translate directly into practical business results. For example, I might meet with some of our leaders in underwriting to talk about their business goals beyond an 18- to 36-month window and partner with them on technology solutions to help them get there faster. This team works horizontally with CDX and might ask: Can we find a way to use conversational interfaces (think Amazon Alexa) to help our advisors prepare for their next client meeting? Does blockchain have a place in any of our businesses? How can we replace a five-step time-logging process with a one-click application to save hundreds of hours of cumulative work? In this horizontal, we help launch innovative ideas and get them through the prototype and pilot stages. Then once it’s time for commercialization or scale, they move to the appropriate area of CDX or to my corporate solutions teams. For example, a small team that worked with financial representatives on a mobile app took it through ideation, experimentation, prototyping, and piloting; once it’s ready to roll out, it moves to CDX who then commercializes the app. I’m also deeply involved in the company’s venture investing efforts. We’re building relationships with the startup ecosystem and companies that we believe can help our business. These relationships also help us create a strong startup ecosystem here in Milwaukee. And finally, I lead our technology advancement and outreach effort. That team focuses on building Milwaukee as a tech hub, working with other companies and institutions to create the kind of environment that will continue to attract startups and technology professionals to the region. The team also promotes STEM education across our community, both by going out to schools and by bringing students here to the company for hands-on experience. How are you driving a culture of innovation at Northwestern Mutual? Gouverneur: One way is by putting innovation at the center of everything we do. For example, we just held a hackathon centered on machine learning for our managed investments department, which functions like an internal Wall Street firm actively managing our $240 billion portfolio. We brought our business teams together with the engineers supporting their work, divided them into six groups, and gave them a set of business challenges. Their goal was to use machine learning to provide solutions never before seen at Northwestern Mutual and deliver better insights. The event is designed to help get non-technology professionals thinking in terms of digital, but it’s also intended to arrive at workable solutions. And after three days together, we had a solution that we are now moving into production. Sometimes we bring innovation to a team in a very focused way like that, but other times we reach out more broadly. Just a few weeks ago, we completed our second companywide wide ideathon that encouraged people across the company to form teams, identify a new opportunity for the company to explore, then pitch their idea to a team of executives. This is very different from our software hackathons in that the emphasis is on developing business ideas — many of which are enabled by digital —and not on creating the actual technology solutions. The winning team gets time and funding to pursue their concept further in our business incubator. These are just two examples. We provide opportunities to learn more about innovation and engage in it all through the year. Some involve just an hour of time, some a few days. All these efforts are about democratizing digital thinking and spreading the innovation bug to everyone. It’s not just for technology pros! Why did Northwestern Mutual initiate this transformation? Gouverneur: Several years ago, we understood that digital had to be a part of our business strategy. And the more we focused on digital, the more it became the centerpiece: using digital technologies in concert with our financial advisors to deliver a distinctive client experience. This led us to developing a strategy that integrates digital in its core, focused on the client experience. It has evolved, but we remain very focused on our business strategy that transforms the client experience powered by digital. At the outset, we piloted agile development in pockets of the company, and some pilots were more successful than others. That’s when we realized that a hybrid agile approach would not work (some call this Wagile or Scrumfall), and that to drive forward we needed to go all in on agile and on rethinking our IT operating model for delivery and operations. What was most challenging about the transformation? Gouverneur: The biggest challenge has been evolving mindsets across the company. This is very much a journey that continues. Becoming an agile business required everyone to change the way they work, not just the tech professionals. Some of the departments we work with were accustomed to discussing their requirements with IT at the beginning of a project,and then waiting for us to deliver the finished solution. In our new model, we ask those colleagues to be in the room and collaborate with IT first to figure out the features they need, then find ways to improve them. For some, this was a big change. But as people see the benefits of working in this new way — in collaboration and with continual delivery — they get comfortable with it and even become some of its biggest advocates. What advice do you have for CIOs looking to follow this path? Gouverneur: I would start by asking yourself: If I were to start a software delivery capability and function today, would I set it up the way I have it set up now? If the answer is No — and it probably is — then you step back and think about what you want. In today’s digital world, you’d probably want to set up your organization more like a startup, with a heightened focus on the quality and velocity of your product delivery. As CIO, you must transition your focus away from IT outcomes and toward business outcomes. Instead of taking pride in reducing costs (this should be normal), take pride in finding ways IT can produce new sources of revenue. For so long, IT leaders focused on technology’s role in streamlining business processes. That’s not enough anymore. Now we need to be in the business of transforming business models, distribution networks, products, and consumer mindsets. Embrace that. Karl Gouverneur is vice president of Digital Workplace, Corporate Solutions and head of Digital Innovation at Northwestern Mutual. He has been with the firm since October 2006. Previously, Gouverneur held technology leadership roles at several other financial services and consulting companies. 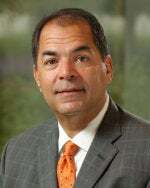 He holds a BS degree in business administration from the University of Florida, and he is part of several non-profit boards in the Milwaukee area.